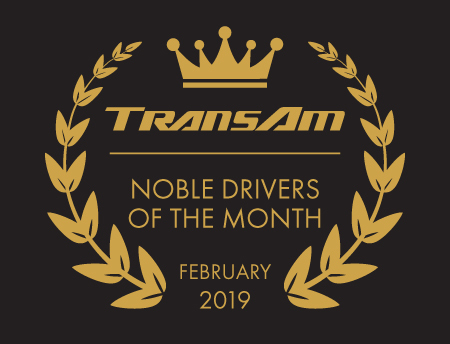 Shout out to Tony Boone for being TransAm’s mentor of the month. His excitement for mentoring is contagious and he is an inspiration to others in the mentoring program. Tony goes out of his way to make sure every mentee is well prepared on the road by checking in with them through-out the training process and giving constant encouragement. Manager of Training & Development, Michelle Telke adds, “Tony is truly a joy to work with. You can tell he is dedicated to his mentees because he is always quick to give me progress updates and is proud to help them along on their driver journey!” Thank you Tony, for being a true leader in our Mentor program! Many thanks to our regional driver of the month, Hulon Burk! Hulon is a triple threat when it comes to being an excellent driver. He is reliable, courteous and self-dependent in every aspect of his role. Whether it is quality control on a load he is delivering or communicating with his driver manager over the road, his team always knows they can count on him to get the job done. Marci Thrapp, TransAm Driver Manager says, “Hulon is an irreplaceable part of the regional team. He is positive and dependable no matter what the situation!” Thank you Hulon, for your daily devotion to your role and for inspiring other drivers to be positive out on the road. Shout out to Dorothy “DJ” Baker for being a hero out on the road! When DJ and her mentee were involved in a high stress situation, DJ was proactive on ensuring the safety of herself and her mentee. Thanks to her resourcefulness and calm composure, the situation was handled smoothly. Thank you, DJ, for being an outstanding example as a driver and a mentor. We are grateful to have you contract your business with TransAm! Shout out to Mark for kick starting his career at TransAm with a proactive approach! Even though he has only been with TransAm for about 2 months, Mark is already making strides as a great driver. His driver manager, Heather Hubbs says, “Mark goes above and beyond in everything that he does. He takes it upon himself to provide yard updates each time he arrives to pick up his load. He sends helpful information like which empty trailers are available, which trailers are in dock doors, and which trailers have maintenance issues. He is definitely a great addition to our team!” Thank you Mark. Your awesome communication skills and can-do attitude is much appreciated!